Small and potent! This little book is a contemplation of my thoughts and experience of over 30 years about the existence of Blacks in the Americas, Africa, and their role in world history from the antiquity to modernity. 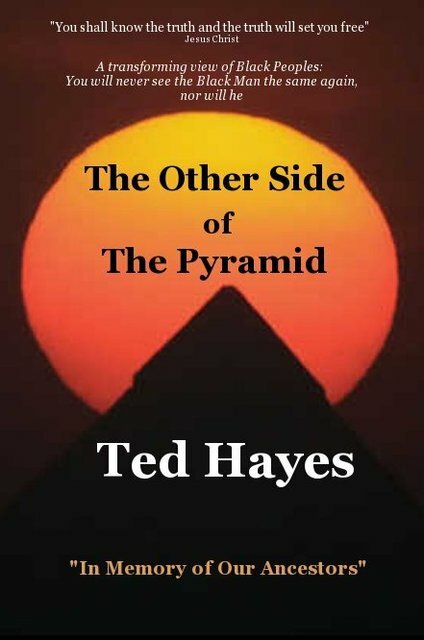 Written in simple lay terms, The Other Side of the Pyramid strikes several sharp and edgy themes, even proclaiming the unthinkable of including the truth about the Arab based religious polity link to the enslavement of Black Africans. Good to the author's character and history, this book is fair, objective and challenging to all parties who have participated in the Transatlantic Slave Trade of ancient West Africans into the United States of America. With brutal honesty, the author charges all the participants as equal co-contributors to the horrific, devastating circumstances and situation that American Black US citizens, i.e. Emancipated Slaves, Freedmen-Freemen, Refugees have found themselves in today and what we must do to remedy it. Most importantly, Pyramid has the potential to help significantly bring about the much needed Healing of the American National Soul from the debilitating slave-race "wound" that the United States was born with-inherited from the British Empire on July 4,1776. In short, this book is specifically designed to generate and stimulate honest discussion. Ted Hayes is America's foremost, Homeless activist. Ted claims that fate (GOD) is placing him in a special role to address among other issues, illegal “immigration”, Civil Rights, and the Healing of America's inherited slave-race wound. Ted has initiated the Martin Luther King, Jr. DREAM Act 2012 (a bill), which is the Enforcement of the 14th Amendment as originally intended for Black US citizen, (Emancipated Slaves, Freedmen, Freemen, Refugees). Ted works with Re-Patriot Radio AM - internet radio where he host, with Terrance Lang of Los Angeles, “America’s Black Shield”. An avid Cricketer, Ted, and his two sons are co-founder of the first American Born Cricket team since 1926, the world-renown Compton Homies & the POPz. Ted STANDS up for the Jewish state of Israel and strives to help liberate oppressed Muslims in the Middle East, and the world as well bring generational Healing to all peoples. Dedicated to his work to GOD, his country, beloved family, friends, and supporters.